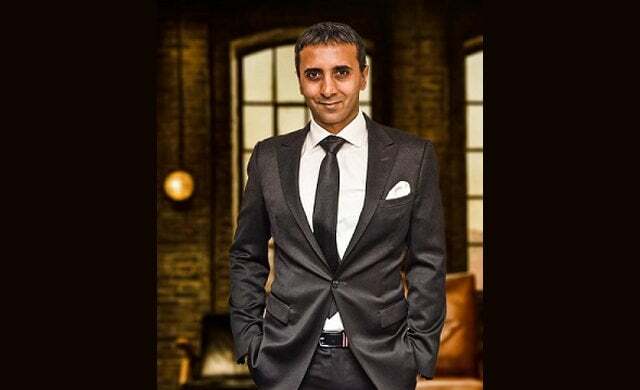 The BBC has confirmed that entrepreneurs Tej Lalvani and Jenny Campbell will be taking a seat among the Dragons’ Den line-up of investors for the show’s upcoming 15th series. CEO at Vitabiotics, the UK’s largest vitamins and supplements company, Lalvani was drafted in after potential Dragon Steve Parish, the chairman and part owner of Crystal Palace Football Club, decided to step away from the Den. Now forming one half of the duo set to replace departing Dragons Nick Jenkins and Sarah Willingham MBE, Lalvani has so far kept a comparatively low profile. Lalvani comes from an entrepreneurial family – Vitabiotics was originally founded in 1971 by his father, scientist Professor Kartar Lalvani, and his uncles also have businesses of their own. Though Lalvani now heads up Vitabiotics, his father remains as the firm’s chairman. An ambitious worker, Lalvani’s first job at Vitabiotics was driving forklift trucks in the company’s warehouse, and from there he worked his way up through every single department before earning the top spot as CEO. During his last 20 years at Vitabiotics, Lalvani has turned the already-prosperous business into a meteoric success with current group turnover of over £300m. Vitabiotics is now said to be the UK’s largest vitamins and nutrient supplements company, manufacturing brands such as Wellman, Wellwoman, Perfectil and Pregnacare which are sold in over 100 countries. The business also boasts celebrities such as David Gandy and Nicole Scherzinger as brand ambassadors. A viewer of the show, Lalvani was reportedly excited to be approached by the BBC to do screen tests for the programme, and became even more so when he was offered a spot in one of the Den’s famous chairs – though he has admitted that he was also nervous. His position on Dragons’ Den this year will mark his first ever appearance on television. Despite being the newest Dragon in the Den, Lalvani has reportedly made more investments than any of his more seasoned counterparts during the production of the latest series – which will hit our screens later this year. Lalvani says that, no matter what he’s doing, he always has his eye out for a beneficial opportunity. He has described himself as a “shrewd investor” as well as a keen negotiator, so he’s likely to drive a hard bargain in the Den. Lalvani’s mother was once crowned Miss India and clinched a spot as a Miss World runner-up. According to Lalvani, his father first glimpsed his mother on television and, in that moment, decided she was the woman he wanted to marry. Lalvani has said that the story of his father’s determination to meet his mother has served as an inspiration to him. Vitabiotics has been recognised with numerous awards, from being named Boots’ Vitamin Supplier of the Year for four years running from 2002 to 2005 to winning JP Morgan’s Family Business Award in 2009, and more. More recently, the company was given the title of Boots’ Overall Supplier of the Year in 2013 after winning all supply categories. The business has also earned more regal accolades, taking home the prestigious Queen’s Award for International Trade in both 2003 and 2008. In 2013, Vitabiotics became the first British company to win the Queen’s Award for Innovation in vitamin research. Lalvani was crowned Young Entrepreneur of the Year by TiE in 2013. Ahead of Lalvani’s appearance in the Den, view our guide to Dragons’ Den’s most successful businesses here.